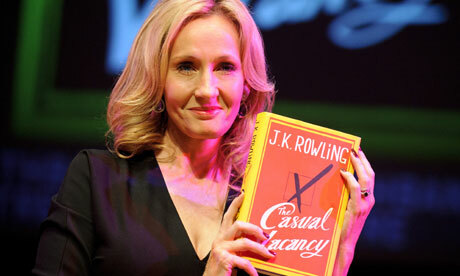 It has been one week since The Casual Vacancy was published and I've made it through the first third of the novel. I was a bit overwhelmed with the first few chapters, as we were introduced to a new character on every page, or so it seemed. As I read on things started to come together, only to become a bit stagnant. Yes, so far, I am not head over heels. This isn't to say it's bad; Rowlings writing is fantastic. She can certainly capture a feeling or detail in a way that allows me to imagine it wholly. However, in terms of plot and even character development it feels a little bland. To be fair though, I am only a third of the way through and I have no doubt things will (hopefully) pick up. Bits of rubbish had tumbled or been scattered over the scrubby patch of lawn, but the bulk of it remained piled beneath one of the two downstairs windows. A bald tire sat in the middle of the lawn... After ringing the doorbell, Kay noticed a used condom glistening in the grass beside her feet, like the gossamer cocoon of some huge grub. In my opinion, Rowling has succeeded in establishing a detailed and impressive sense of place that encompasses these two contrasting towns - now I'd like to see where this leads. Like I mentioned before, as far as characters go, there are many. I'm starting to get a better sense of what drives each and exactly how varied they all are. Thus far, I'd have to say I really enjoy Andrew. Maybe I have taken a liking because he is an underdog of sorts, or maybe it's because I find his thoughts damn funny. Either way, I look forward to learning what Andrew has got in store for us. It seems as though he may turn out to be a moderator of sorts, in contrast to his hard-headed father. In addition, I would like to address all the body parts Rowling describes; we have encountered, thus far, balls, penises, breasts, and boners. We read a confession from a virgin who exclaims "Lots of pushing to get in properly. It's tighter than I thought". These descriptions don't feel out of place and I think they add even more color to an already diverse novel. All in all, do I love The Casual Vacancy? Not yet, though it may be too soon to tell. What I will say is I'm happy to read something so different from Harry Potter. Regardless of any expectations I had going into this, I was not expecting a story like this. And for that, I'd like to congratulate Rowling. If you are participating in the read-along, feel free to link up your first post below! We will be posting our final thoughts next Thursday. I haven't really thought much about the rivaling towns aside from the fact that many of the pro-Pagford residents seem to often recount (albeit to the reader) that they're actually from Yarvil and like to keep it hush-hush, as it's such a source of contempt. I'd like to see what this all leads to though. So far, I'll say that it's often difficult to pick up because the pace is so slow. It's far different than Harry Potter that's for sure. However, I'm not terribly impressed with her inclusion of passages that would, I guess, constitute a more "edgy" (as much as I despise that term) novel. It just seems like the same old stuff that has to be included to be relevant. However, I'm generally in the minority on that one. I'm still hoping it picks up. And I'm anxious to see if she sheds more light on Barry's character as we've only been offered fleeting glimpses of his person from the start. Glad we decided to choose this one because I feel the final post is going to be overwhelming! I have finished the book, so I'm trying hard not to say anything at all. My first post seems a bit random to me, because I'm not sure how much I can get away with saying that won't spoil everyone who hasn't finished, which means I'm not sure I've said anything at all. Next week's posts should be interesting. Btw, thanks for running the readalong. It was a spur for me to try and get my thoughts in order, difficult though that has been. "Regardless of any expectations I had going into this, I was not expecting a story like this. And for that, I'd like to congratulate Rowling." I agree with this completely. Even though I've found it pretty easy to sink into the book and forget who it's written by, I am pleasantly surprised that Rowling is really going for the gritty stuff. I don't think it's just for effect, either; to me, all the things she's written seem pretty true to the characters. Even though the main characters in Harry Potter are very well-developed, they aren't true representations of teenagers the way that Andrew and Sukhvinder are. Writing a book for adults has clearly allowed Rowling to tap into more realistic characterizations. I couldn't put it down and finished it on Tuesday, and dare I say it, but I did love this book. I didn't have a hard time at all forgetting that she's written one of the most successful series out there. I thought the same that her ability to describe the setting was well done and really was such a successful contrast to the ugliness of the residents. It really was beautifully written in some sections, albeit for the dark and complicated underbelly of everyone's hypocrisy. The only thing I struggled with, and it sounds like everyone did as well, was keeping track of all of the characters at first. After a while, it wasn't difficult, but those first fifty or so pages was quite a challenge. I do wish the publisher would put a "cast of characters" as a reference! I'm having a difficult time getting through this book! Partly because on an un-godly cold, but partly because is it so dark. I'm heartended to know I was not the only one who was a little lost with all the different characters at first. To add insult to injury, you have a a character with two simultaneuos names! I'm holding on for dear life around page 65 and now I have that to contend with too?!? Such are the thoughts I'm having while reading this novel. At roughly the 1/3 mark I think I finally understand who everyone is. 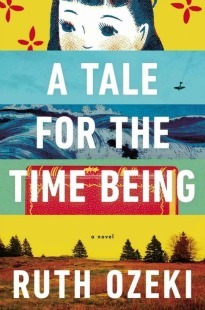 Overall, her descriptions of time and place are really strong - it is very easy to grasp the imagery and to be transported to Pagford, however I think that in setting the stage I lost some of the richness of the prose in my struggle to maintain the relationships of all the different characters. Rowling's sense of humor, though dark as night, is very crisp and I think is the sole element that is keeping me moving forward. perhaps in hope of a shining insight that will grab me again. Ultimately, I am surprised by how slowly I am progressing through this. I am finding myself reluctant to re-enter the world once I've put the book down for the night and think that ultimately I coudl walk away from it tomorrow without any regrets. I have yet to reach the point where I really am desperate to know where the story is going or how these people are going to sort themselves out. Once I've got some momemtum going I'm making progress, but occasionally I've picked it up and put it right back down in lieu of going outside for some fresh air. I think this is telling. I'm definitely not enraptured, but I think I can muster up a yeoman's effort and get through this. You guys certainly give me heart to persevere! I completely agree with you about Rowling's writing. She truly has a gift when it comes to helping her reader imagine the scene as a whole. I think the setting is what I understand the most at this point. I've had a difficult time really getting lost in this novel, because there are just so many different characters. I think if they were each incredibly distinctive and well developed then that may not be the case. I'm not really all that far in, but I plan on trudging through as much as I can. Who knows, maybe there will be a point where I just can't put it down. I haven't posted anything yet, but I'm about two thirds through and it has really picked up! Actually, I didn't mind the slow parts because I love the really slow, detailed portrayal of this small town. I especially love her portrayal of the teenagers -- the adults are so screwed up but the teenagers so sympathetic. I'm aching for Sukhvinder. It reminds me how much of teenage life wasn't in Harry Potter, and yet she still managed to capture teenagers so well in those books. I really don't want to finish it so I'm not rushing. I think I'll be sorry when it's done. I've always had a time keeping track of characters, and I read in a couple reviews before I started reading that it had a lot of characters. So right from the beginning all I did was write down the name of each new character, and how they were related to other characters. It really helped a lot, just seeing the names on a single page. And once I got to around 50 pages, I had all the characters straight and didn't even need my reference sheet. Also, the book definitely picks up at the halfway point! As I was reading I wasn't quite sure about it, but I figured I'd keep reading because it's Jo. Now it's become one of my favorite books. So if you're struggling through the beginning, just keep going. I promise it gets better! !